The Cincinnati Bengals are a step closer to getting that new scoreboard. Hamilton County is reviewing bids to replace the scoreboard and control room. County finance specialist Erica Riehl expects the total will be about $10 million based on bids the county received. 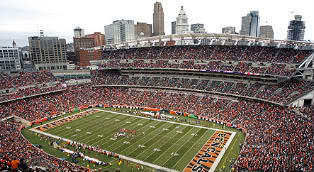 The county is required to pay for the upgrade, however, under a bargain struck last year, the Bengals are chipping in $2.5 million. The contract will likely be awarded by the end of the year. Meanwhile, county commissioners are expected to vote next Monday on the property tax rebate (PTR) for 2015. Right now, it appears the PTR will remain at 65 percent of the full amount. The rebate was promised when voters approved the sales tax to build the two sports stadiums. We'll find out later this week how much sewer rates may go up next year. The Metropolitan Sewer District is putting the final touches on its recommended budgets. Hamilton County and Cincinnati officials have been sparring for several years over how to run the utility. The county owns the sewer district but it's operated by the city. On Monday County Administrator Christian Sigman was somewhat optimistic based on recent conversations with the new Cincinnati City manager. 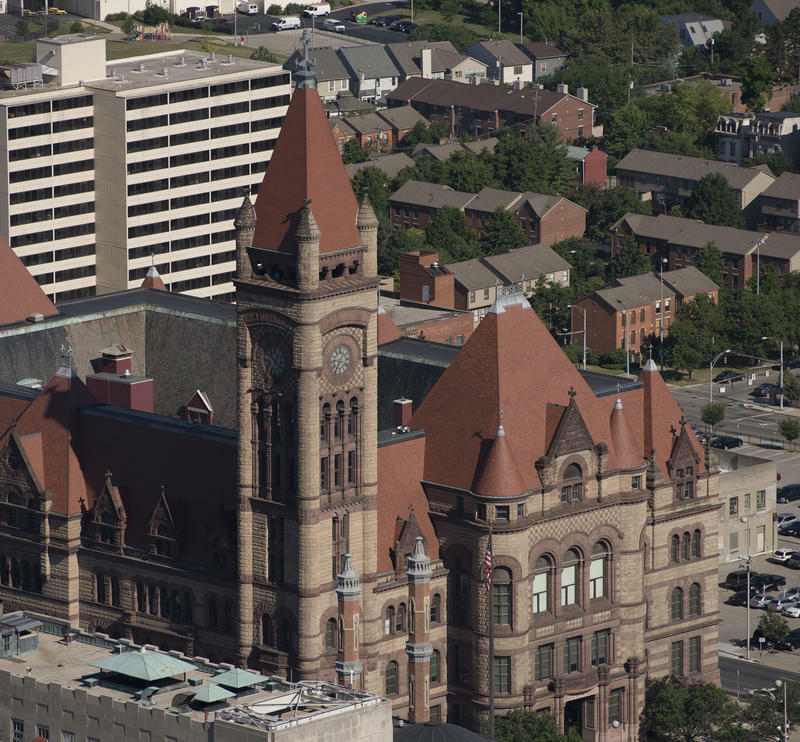 "What I'm seeing out of the City Manager's office is a greater attention to the operations regardless to the interpretation of ownership and control," says Sigman. "I see some positive traction there." County Commissioners could set sewer rates as early as December tenth. In June, Cincinnati Council approved a four percent increase in water rates for Greater Cincinnati Water Works customers. How much will you get back on your property tax bill next year? For every $100,000 worth of property value, Hamilton County homeowners will get about $46 back on their tax bills next year. Cincinnati Council is saying 'yes' to bike sharing and 'no' to a 7.5 percent water rate hike. Council agreed to raise water rates for Greater Cincinnati Water Works customers but only by four percent, under a compromise authored by Vice Mayor David Mann. Council member Yvette Simpson opposed the compromise saying four percent now will only lead to an even bigger increase next year. Fellow Council member Wendell Young says if that's the case next year, he'll vote "no." But he says a "yes" vote now sends a signal to the leadership at Water Works.